For over 30 years, Fairview Flowers has been serving the Espanola Valley and beyond...providing beautiful and artistic floral designs for every occasion. Call Fairview Flowers… We Deliver the Freshest Flowers and Brightest Smiles! Fairview Flowers is a local full-service florist that has been proudly serving the Espanola, NM area since 1978. Our courteous staff is ready to assist you with placing orders for local delivery or anywhere in the world. Not sure of what to send? We’ll gladly help you with creative suggestions. Whatever the occasion, our talented designers will dazzle you with their fabulous floral arrangements. Choose from traditional and contemporary design styles that are perfect for everyday… birthdays, get well, anniversaries, sympathy, holidays or just thinking of you. When you’re looking for something special, we can deliver just what you need! Browse our assortment of green & blooming PLANTS and DISH GARDENS… for a great gift that adds life to any room, office or outdoor space. 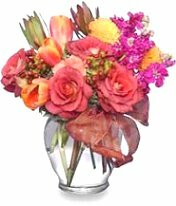 Ask our staff about customizing a SYMPATHY TRIBUTE of flowers for a special friend or loved one. 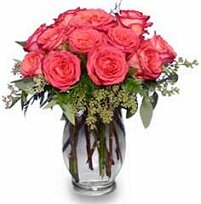 We will design and deliver an arrangement that beautifully expresses your condolences. What about breathtaking FLOWERS for your dream WEDDING or a special occasion? Call us in advance to schedule an appointment for a consultation with our floral professionals. And, don’t forget our selection of ALL OCCASION GIFTS, including Candy & Chocolates, Home Decor, Silk Flowers, Stuffed Plush Animals, Tropical & Exotic Flowers, Balloons and more. Monday through Friday 9:00 am to 5:00 pm and Saturday 9:00 am to 2:00 pm. Closed Sunday. For your convenience, we offer daily delivery to all local hospitals and funeral homes.